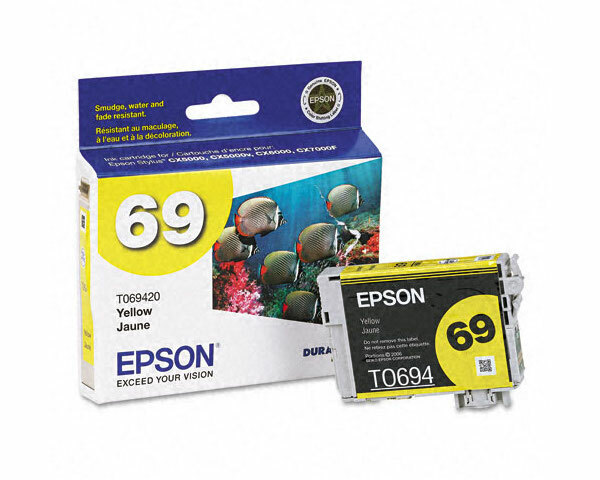 This Yellow Ink Cartridge prints 420 pages with an average of 5% page coverage. Nearly all printer manufacturers base their ink/toner cartridge yields on 5% coverage. 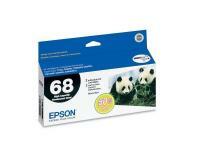 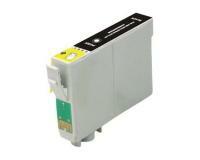 Epson WorkForce 500 OEM Black Ink Cartridge Dual Pack - 370 Pages Ea. 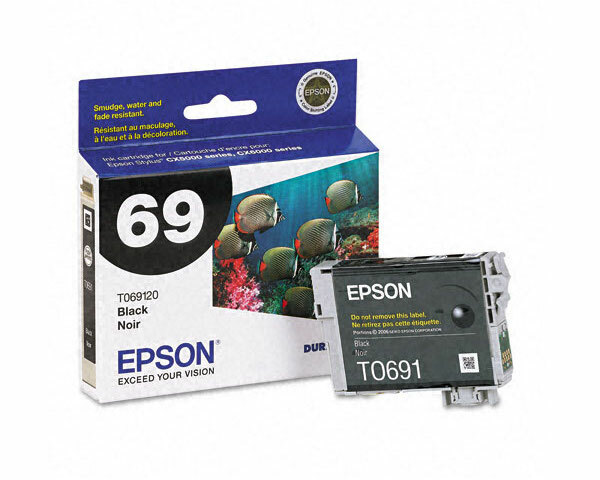 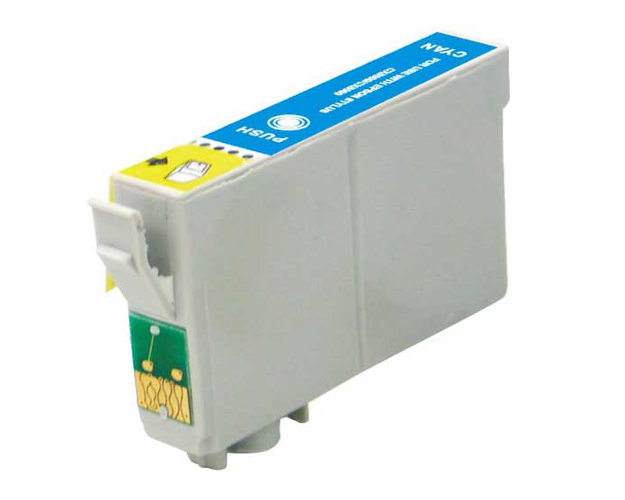 When do I Replace an Ink Cartridge in the Epson WorkForce 500 All-in-One Printer? 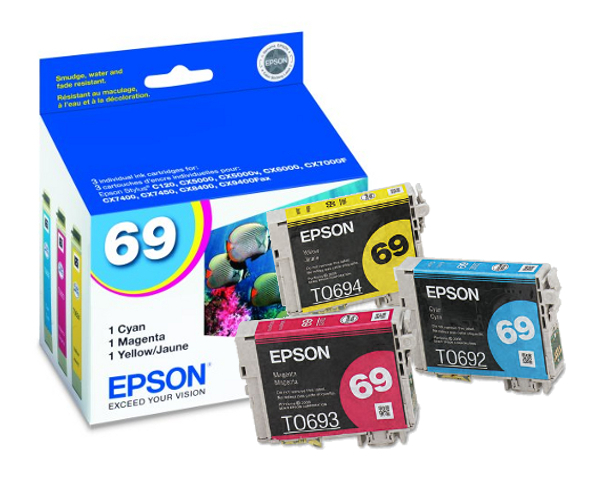 You can check the status of the four ink cartridges installed in your Epson WorkForce 500 All-in-One Printer from the [Ink Levels] menu. 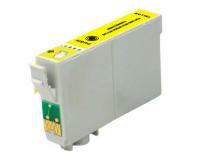 You should replace the installed ink cartridges when/if any of the listed indications appears. 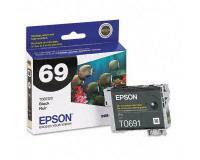 · [Error <Color> Press the OK button to replace ink cartridges] is displayed – The indicated ink cartridges are empty. 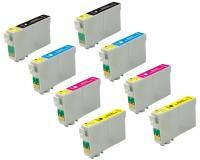 Please install new ink cartridges of the corresponding colors to resume printing/copying. Initially, you must select [Maintenance] – [Change Ink Cartridge], and then open the scanner unit. After that, you must open the cartridge cover, and then remove the exhausted ink cartridge by pulling it upwards while squeezing its release tab. 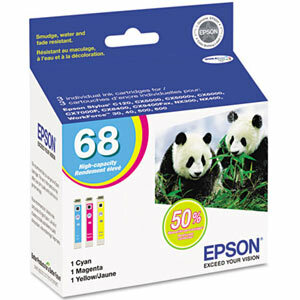 Now, you must shake the new ink cartridge five or six times from side to side, and then remove it from the package. Please do not touch the green chip of the new ink cartridge. In the next step of the replacement procedure, you must remove the yellow tape from the underside of the new ink cartridge, and then insert the new component into the corresponding slot until it locks into place. Once the new ink cartridge is installed, you must close the cartridge cover and the scanner unit, and then finalize the replacement procedure by pressing the [OK] button.